ISPO. The digital future of winter sports has arrived: fitness trackers, smart helmets and smart ski goggles for increased safety are becoming ever more popular on the slopes. Another important point to note for the 2018/2019 season is that fashionable ski, snowboard and outdoor clothing is now lighter, more fitted and more comfortable than ever before thanks to high-tech materials. 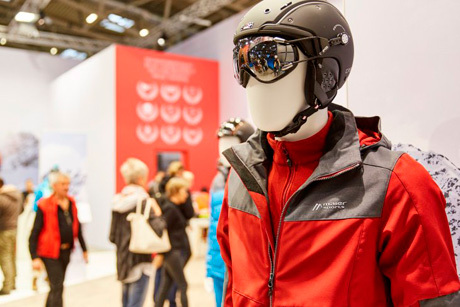 These and other trends will all be showcased between January 28 and 31 at the sports trade show ISPO Munich. Mapping out tours, tracking routes and recording the number of kilometers of slopes you’ve traveled down mean that entire ski days can now be planned via apps and browsers. Wearables, such as smartwatches and fitness trackers, are increasingly being used by skiers and snowboarders who like to have everything at their fingertips. The feather-light Rossignol & PIQ Wearable Ski Sport Tracker, for example, can be attached to your ski boot to monitor and assess your runs, carving angles, jump heights and best times: any progress you make is identified at lightning speed and spurs you on to do even better next time. Digital technology is even revolutionizing safety aspects of winter sports. Smart helmets with integrated GPS and vests with built-in airbags are just two examples: the POC Spine VPD protection vest adapts perfectly to the user’s physique in order to provide maximum protection in the event of a fall. Other potential life-saving inventions include warning systems with crash sensors which are attached to the outside of users’ helmets. In life-threatening situations, the transmitter sends out the person’s GPS coordinates via their smartphone to help rescuers get to the scene as quickly as possible. Above all, next season’s hardware needs to be fast and safe. 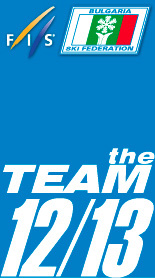 When manufacturers think long and hard about how to make the perfect skis, which have to be lightweight, comfortable and robust all at the same time, more often than not they opt for the latest materials such as carbon and Titanal and innovative designs with lightweight cores which have been making an impression in the racing industry for years. Rockers, which make it easier to initiate turns and are more forgiving if you make mistakes, have become very popular: these skis, with their characteristic reverse camber, are now the firm favorites of many racing professionals and are being continuously further developed. Whether skis and snowboards are used by professionals or amateurs, lightweight construction and new mixes of materials are setting the trend. Companies such as Fischer and HEAD are using high-tech materials to make the ride both more agile and smooth. Völkl, for example, equips its rockers with a multilayer wooden core and a Titanal structure, which make the all-mountain version of its skis lighter and more precise. The combination of carbon and basalt fiber with fiberglass in Rossignol’s Auto Turn Rocker (a blend of carver and camber) provides stability and support. Another trend for winter 2018/2019 is that more and more brands are launching entire collections for female skiers. ELAN’s Delight range, for example, features the lightest women’s skis on the market. HEAD has come up with a technical innovation aimed at freeriders: graphene makes the Joy series ski lighter and more resilient at the same time, ensuring more balance and control both on and off piste. Tecnica’s ski boot series is perfectly tailored to the female foot: featuring a merino/Celliant fiber mix, which reflects infrared heat to the feet thereby promoting blood circulation, these boots are extremely comfortable to wear and are indicative of a trend which will continue next season: boot fitting. Manufacturers are keener than ever to ensure that their customers feel comfortable and able to move properly in their boots. The perfect fit and performance are also top on the agenda for snowboarding for next winter. The technology contest between snowboard manufacturers is over: the shape of the boards is now firmly back in focus, as is carving and deep-snow fun. Designers’ eagerness to experiment seems to know no bounds, from shapes akin to those of surfboards through to asymmetrical designs with holes and even handmade one-offs from the likes of Goodboards & Goodschi. The number one priority is to generate maximum fun on the slopes. As such, the range on offer for female backcountry snowboarders in particular is growing – from Nitro’s all-mountain camber version through to Rossignol’s Splitboard with serrated edges and urethane shock absorbers on the load-bearing edges. Allwinter Snowboarding, a finalist in the ISPO Brandnew 2018 competition, is set to launch a world first: PowDaze, the first ever snowboard add-on, will, in the near future, improve the float and performance of twin-tip and directional twin snowboards. According to textile trend expert Louisa Smith, winter sports fashion for the 2018/2019 season will be “fairly colorful.” Anything goes: from matt to shiny and even soft colors with a retro look. The industry also has the athleisure trend, which has recently become a firm fixture in the sports fashion sector, to thank for the colorful range. Comfortable sportswear destined not just for sports activities is all the rage at the moment. However, the focus is firmly on functionality for physical activities: high-tech is the name of the game. Morotai, which was a finalist in the ISPO Brandnew 2018 competition, will be exhibiting at ISPO Munich. Its functional clothing range with mesh inserts for air circulation and cooling purposes is impressive and features a clear, straightforward design as well as minimalist extras for amateur sports enthusiasts. Pockets for smartphones, headphones and bank cards are integrated so that they don’t get in the way during training—there’s even a concealed cable runner. 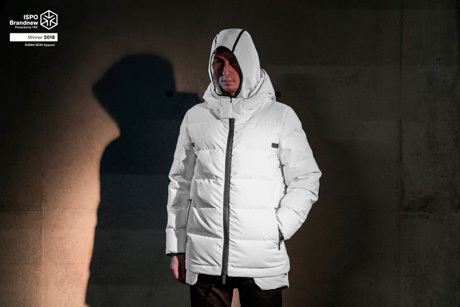 ISPO Brandnew winner TEMPLA has also come up with some innovative technical developments which are setting the trend: the brand’s new sports fashion collection combines urban aesthetics with outdoor performance clothing for über-extreme conditions. The luxury label draws on everything that the industry has to offer in terms of equipment and comfort—from waterproof high-fashion goose down jackets to RECCO rescue reflectors attached to garments. What’s more, it represents one of the prevailing trends for next winter: multifunctional outdoor clothing which features a timeless style for any situation and is equally suitable for sports activities as it is for walks in the snow or strolling around town. Natural materials with a real feel-good factor are one of the things that make this versatility possible: hardly any labels out there will be entering into next season without natural fibers such as merino wool, cotton or cashmere. These are being processed together with synthetic fibers into combinations that are revolutionizing the industry. Cooling and heating products, in which the material adapts to body heat and either absorbs or maintains heat or cold, are especially coming into fashion. With Icebreaker’s RealFLEECE technology, for example, merino fibers surround a nylon core to provide luxurious comfort and warmth even in the depths of winter. Lightweight materials where you can actually feel the performance and which allow you a huge amount of freedom to move are available from brands such as VAUDE, Bergans, Black Yak and Ziener.